In Jiji Maa, uyash and Falguni learn the big truth of Niyati’s infertility. They break this truth to the family. Uttara gets a big shock knowing Niyati’s state. All her hopes and dreams break down. Haryali suggests Rawats to get a heir soon, so that the family gets saved from the misfortune. 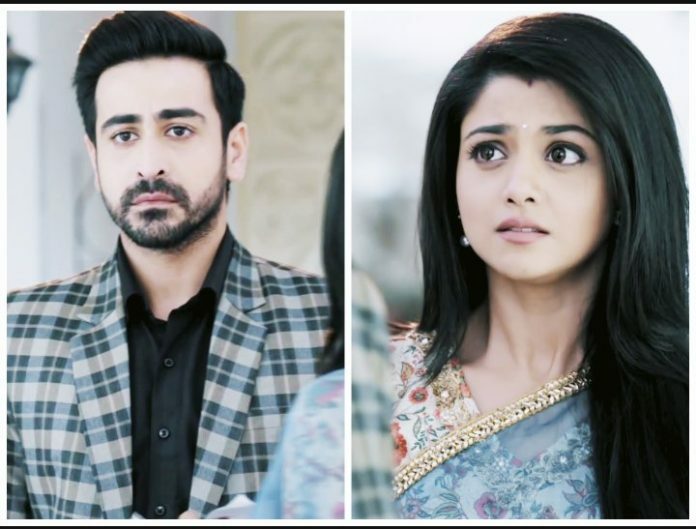 Suyash gets upset with Falguni for revealing the truth to family. He tells her that Uttara collapsed knowing this news. He worries for Uttara’s health. Suyash tells Falguni that she have to get married soon, so that they get the heir soon to save the family. Haryali wants Suyash to have a son soon. Uttara tells Haryali that Suyash and Falguni are officially divorced and can’t get married for six months. Haryali also gets worried knowing about Niyati. Falguni reveals her divorce truth to Haryali Bua. She doesn’t want to lie more. She tells Suyash that they can’t keep Haryali Bia in darkness. Suyash tells Falguni that they shouldn’t give tensions to the family. Uttara is stressed about Haryali’s prediction. She fears that her family will face the doom. She wants to find some solution. She cries thinking she is responsible for Niyati’s miscarriage before. She had plotted the accident in Goa. She thinks if Vidhaan had that child earlier, this would have not happened. She doesn’t stay calm.